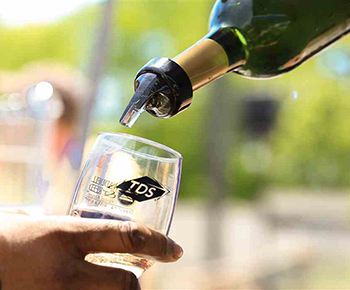 On Saturday, April 30th, thousands of people sampled and enjoyed some of the best wine in Tennessee at A Toast to Tennessee Wine Festival sponsored by TDS and the Mt. Juliet Chamber of Commerce. 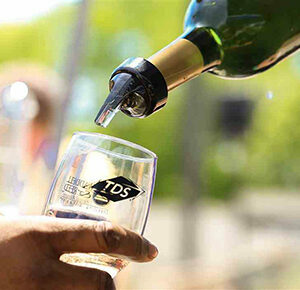 Now in its 13th year, the event featured 25 wineries from the middle Tennessee region, along with more than two-dozen food and artisan vendors. 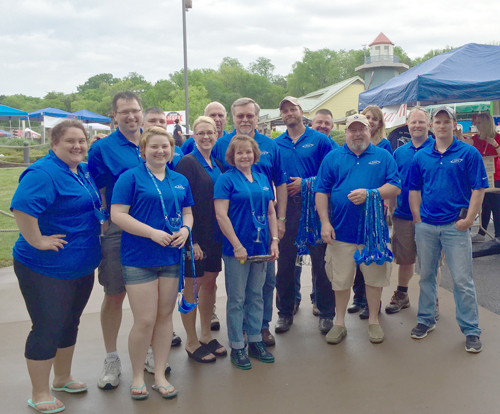 TDS not only provides a sponsorship, but employees are there to help set up and greet visitors. “Someone from TDS greets every person who walks through the gate.” says Roger Tyo, associate manager of Field Marketing. 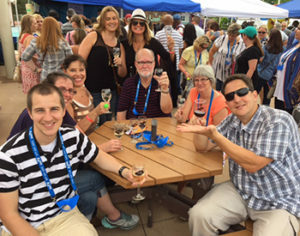 And they not only say hello, they welcome visitors by handing out wine glasses and a lanyard wineglass holders. The lanyards free up hands to make it easier for attendees to stroll from tent to tent, sampling and dining throughout the evening. Other local TDS employees also chipped in, including folks from Field Marketing and Commercial Sales.